Imagine being where no one is in a hurry. 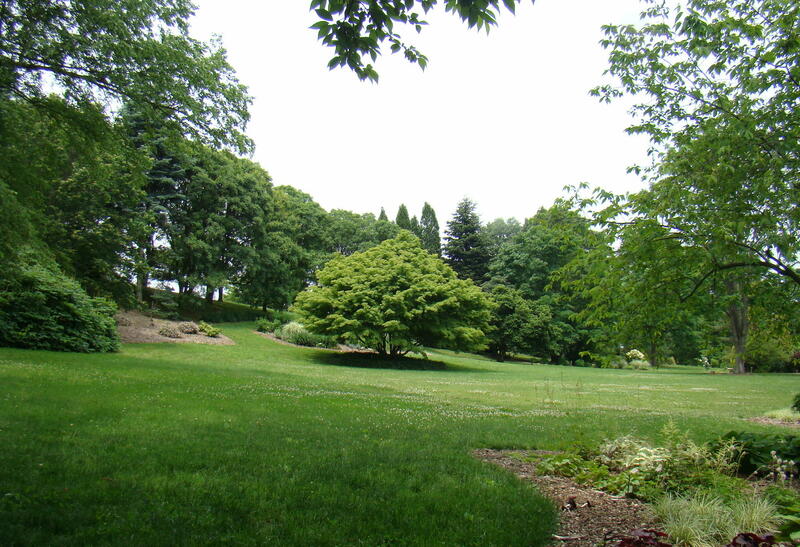 Dawes Arboretum could be the perfect place for you! This nature haven is dedicated to increasing the love and knowledge of trees, history, and the natural world. Young and old walk around the grounds at a leisurely stroll and traffic has a speed limit of 15 mph. Ah! This is a spot to relax! Way back in 1917, Beman and Bertie Dawes purchased a farm known as Woodland in Licking County. The family renamed it Daweswood and began planting trees, from all over the world, that would grow in Ohio. He hoped to encourage others to plant trees at their farms also. 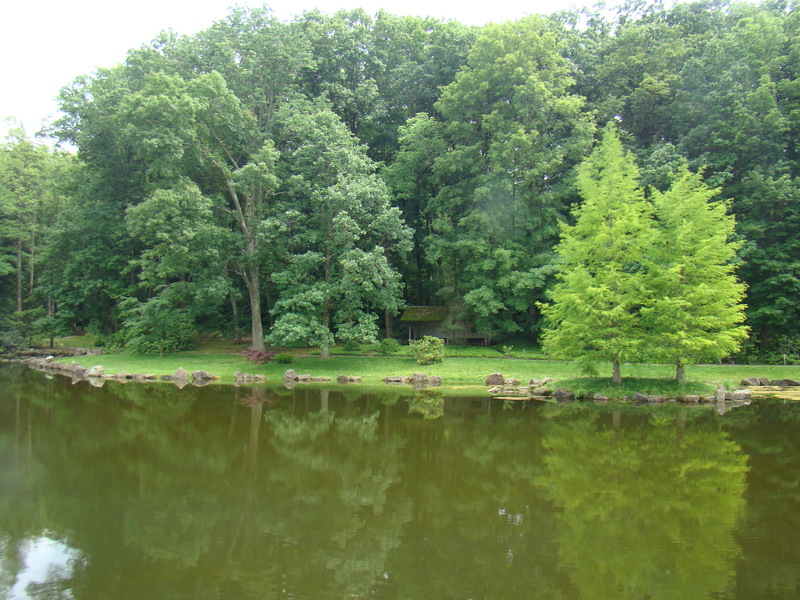 In 1929, Dawes Arboretum was formed and by then, Beman had planted over 50,000 trees and purchased more land. The Visitors Center is a great place to begin your visit. Here you can pick up a map to guide you throughout the 1800 acres, and discover a little history of Dawes Arboretum as well as their family. Beman Dawes’ father was a Civil War veteran, who served in The Iron Brigade. His brother, Charles, served as Vice-President of the United States under Calvin Coolidge. One of my favorite spots is walking leisurely through All-Seasons Garden behind the Visitors Center. Here you are greeted with the flowers of each season from Spring through Fall – tulips to mums. 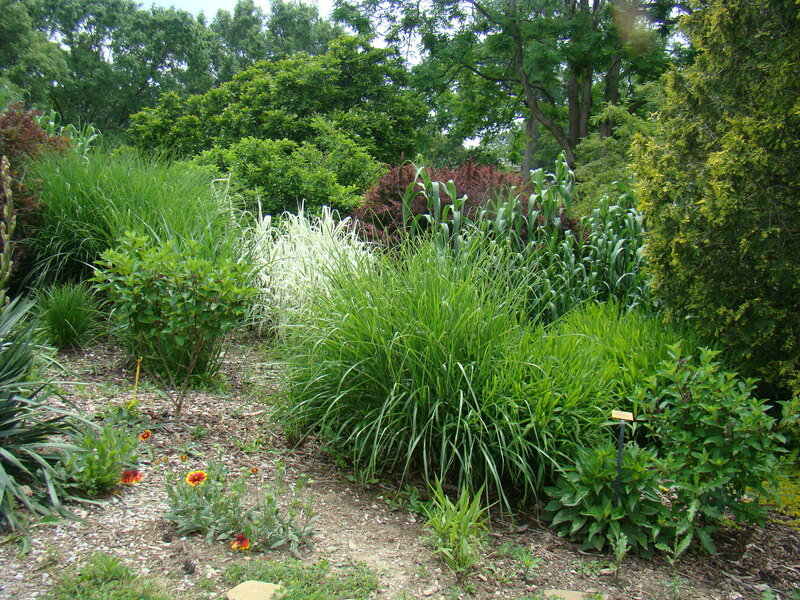 There is a wide variety of plants here, some perennials and some annuals, but all striking in their setting. Name plates are frequently found near trees and plants with both their scientific and common names for easy identification. Benches provide a spot to relax and to take time to smell the roses. A charming gazebo offers a touch of shelter on a rainy or sunny day, and provides another spot for viewing the garden. The Japanese Garden creates one of the most tranquil spots at Dawes. With a beautiful small lake at its center, the plants of Japan weave their way around the pond and into your being. Give your feet a rest in the small meditation house at the edge of the reflecting pool to let the tranquility soak in. A stone path crosses the pool filled with colorful koi, making it a favorite of young and old alike. Since Dawes is located in Ohio, the Buckeye state, it seemed only fitting that buckeye trees would be included in the landscape. The Dawes family decided to plant 17 trees in the shape of the number seventeen honoring Ohio’s admission to the Union as the 17th state. 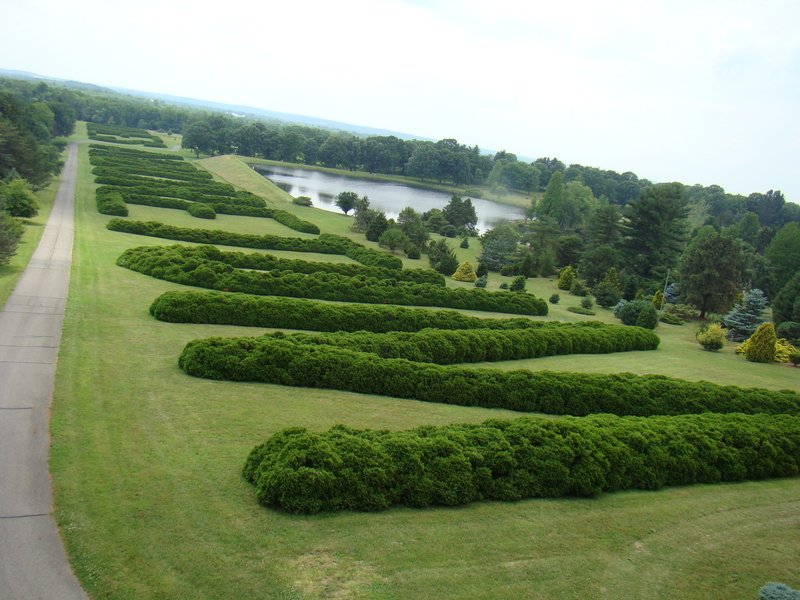 Large Hedge spells our Dawes Arboretum. Perhaps you will notice as you approach the arboretum that there is a large hedge, which spells out DAWES ARBORETUM quite clearly. 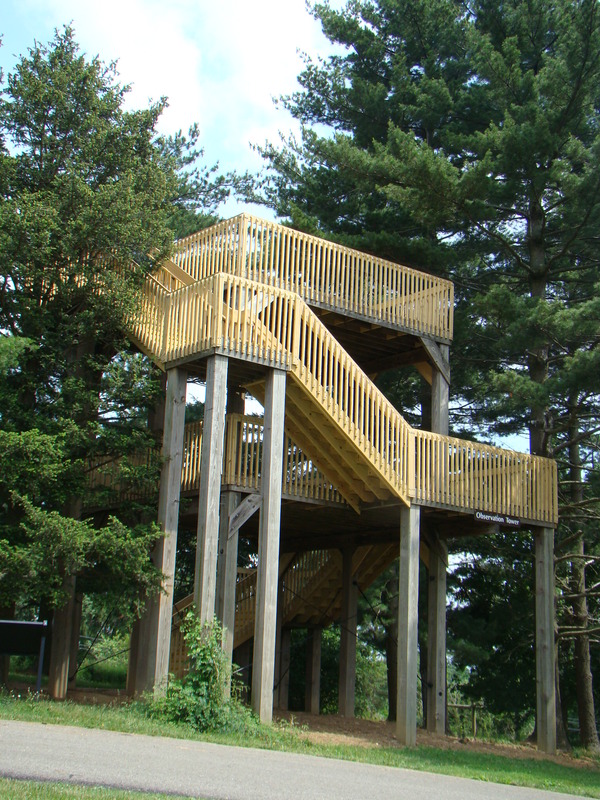 As you slowly drive through the wooded areas, toward the end of your tour, you will arive at The Observation Tower at the southeastern end of the arboretum. Climbing the tower gives a great view of the surroundings including the hedge. This hedge is thought to be the longest hedge in the world at 2,040 feet long and approximatley six feet high. Bernie Dawes decided to build the hedge for the enjoyment of planes flying into the Columbus Airport. One last treat before you leave is the Cyprus Swamp. 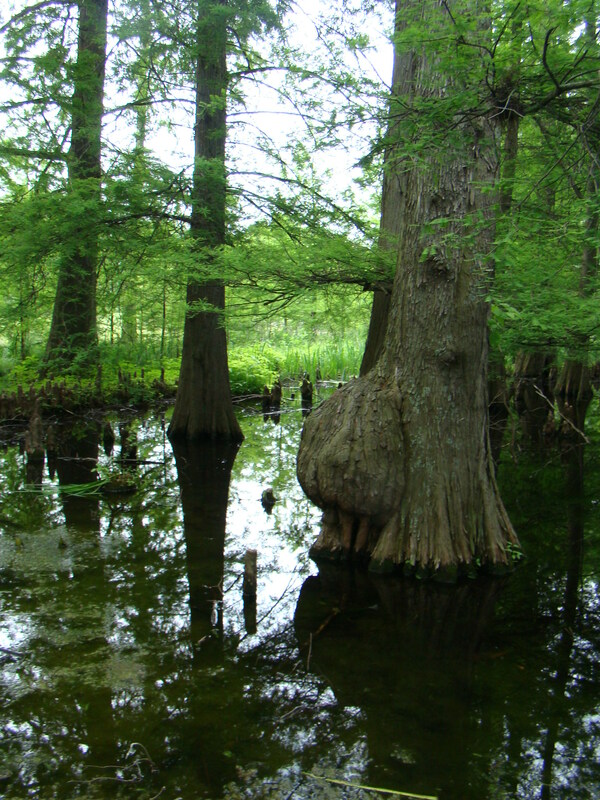 This Bald-Cypress Swamp is one of the most northern swamps in North America. A delightful boardwalk gives guests an up-close and personal view of the trees and their root system, as well as the creatures in the water. The bumps you see coming out of the water have given these trees a nickname: Trees with Knees. Botanists aren’t really sure what their purpose is but some think it might help them breathe, while others think it is perhaps to help brace them from the wind. Every season of the year brings a variety of trees, plants, and blossoms to center stage. This is definitely one of those spots where you can enjoy a walk through the trails, or a drive down the roadway, at any time of the year. Beautiful scenes appear around every bend. Meander through the grounds anytime of the year surrounded by the beauties of nature at Dawes Arboretum with over 16,000 living plants. It’s opened 362 days a year and admission is free. You’ll want to come back each season! Dawes Arboretum is located near Newark, Ohio just off I-70. Take Exit 132 , Route 13 , and proceed North on Route 13 for about three miles. The entrance is located on the left hand side of the road at 7770 Jacksontown Road.